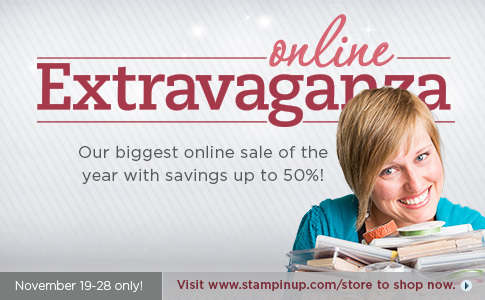 The Online Extravaganza promotion is our biggest online sale of the year! During these 10 days only, customers can get incredible discounts-up to 50 percent-on some of your favorite products! So what are you waiting for….GO SHOP!! !